This coming Saturday, 17th May, the third round of the 2014 World Triathlon Series will reach Yokohama, Japan. 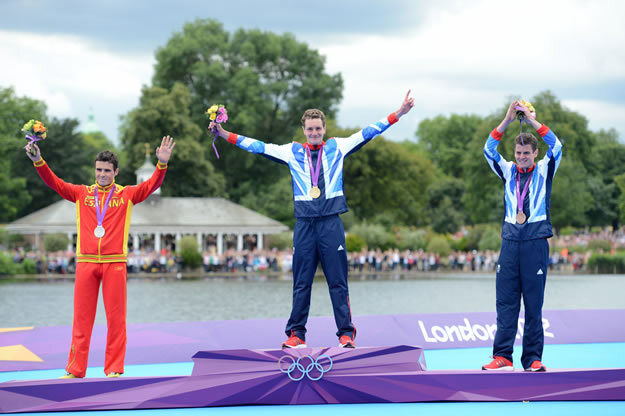 For the first time this year, we will also get the opportunity to witness the three giants of men's ITU racing go head-to-head, as Alistair Brownlee is set to return for his first WTS event of the season alongside younger brother Jonathan Brownlee and Spain's Javier Gomez on the start pontoon at Yamashita Park. 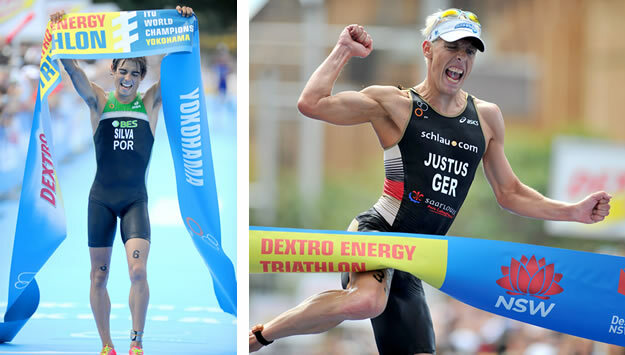 So, how dominant have this trio been, and who - if anyone - can break their total dominance of the ITU scene? Alistair Brownlee is quite simply, the fastest triathlete we have ever seen. His record in the top tier of ITU racing over the past five seasons is simply stunning, to the point that a race where he doesn't win, is a more significant story than the 16, so far, in which he has crossed the line first. Who can forget his London 2010 meltdown for example? Such consistent dominance is particularly amazing when you factor the significant periods of time he has spent on the sidelines with injury - and yet still, so far at least - been able to bounce back seemingly stronger. Alistair regards his 2013 season as something of a disaster. That is a year in which he ran 28:32 for 10,000m on the track, won WTS races in San Diego, Kitzbühel and Stockholm and finished a close second to his brother in a sprint finish in Hamburg. An injury-impacted 'failure' in London however meant no World Championship title - or even medal - for Alistair. A season of dreams for most, but Alistair Brownlee sets his standards far higher than that. Javier on Alistair: "I always enjoy beating the best. And Alistair is the best. I know how hard it is to beat him." Jonathan on Alistair: "He has shown me that top athletes don't need to be superheroes or do super-hero things to win world titles. You can be normal and still make the Olympics." Two years ago I wrote an article called 'Jonathan Brownlee is Mr. Consistent'. What has changed since then? Nothing - the list has just got longer!! 4th July 2010, the ETU European Triathlon Championships in Athlone was the last time that Jonathan didn't finish on the podium in a triathlon. In ANY triathlon. His breakthrough on the WTS circuit was, ironically, in that 'meltdown' race of 2010. Jonathan finished second to Javier Gomez for his first medal at the top tier of ITU racing - and since that moment he has NEVER left it. NINETEEN consecutive WCS/WTS events, and never finished lower than third since that first medal, London 2010. Alistair on Jonathan : "His racing ability is phenomenal. He is the most consistent athlete out there"
Javier on Jonathan: "Alistair used to be the stronger, but they're getting closer. They're almost on the same level." 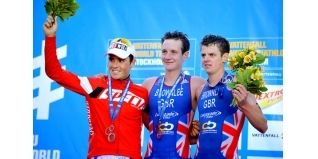 It is practically impossible to consider the career of the Brownlee brothers without talking about Javier Gomez. He is the one that set the standard to which everyone had to aspire (remember, Gomez won five consecutive ITU World Cup races in 2008), and so far, the only one that has been able to consistently raise his own game and constantly take the fight back to the impressive brothers from Yorkshire. As I said after the 2012 Olympics, Javier Gomez is a true champion - and is the athlete that motivates the Brownlee brothers the most. With World Championship medals every year since 2007, with good reason. One of the impressive things about Gomez is that he races so well, so often. With 34 starts, only Dmitry Polyanskiy (with 35), has raced more WCS / WTS races than the 2013 World Champion - who maintains a podium percentage of over 75%. Add in an XTERRA World Championship, ETU Middle Distance Championship, 70.3 Panama win, two Hy-Vee 5150 Championships and more... Javier Gomez is a racing machine. Alistair on Javier: "I don't think people realise just how good he is. For across-the-board swim / bike / run ability he is amazing, probably the best there is... "
Jonathan on Javier: "He's an incredible athlete and he's got no weaknesses." Thus, of the total of 42 WCS/WTS races since the series was launched in 2009 through to the Cape Town race in 2014, a Brownlee or Javier Gomez has won 31 of the 37 events (84%) that at least one of them has started. Yokohama 2014 should be the 15th time that Alistair, Jonathan and Javier have all started the same WTS event. Here are the podium results from the previous 14 races. The Brownlee-Gomez combination has won EVERY WCS / WTS event where all three have started. Of the 42 total medals available (Gold, Silver, Bronze), in the 14 WCS / WTS races that both Brownlees and Javier Gomez have started, they have won 32 of those (76%), including six races in which they have taken all three podium spots. In those 14 races, at least two of the three podium positions have been filled by Alistair, Javier and Jonathan on 12 instances (86%). So to answer the question "what are your chances of beating all three at the same time?" So far at least, NONE! The contenders to the throne(s)? Given the dominance of the Brownlee-Gomez trilogy, a question to be asked then is who is the most likely to be able to break into that 'elite' tier of performance and expand that trio to a competitive four(or more)some? While the saying goes that 'past performance shouldn't be used to forecast future returns' in the world of finance, within our triathlon world - as with this Kona example - it is actually a pretty good place to start. Given that, let's have a more detailed look at the athletes who have actually scored a win at the top tier of WCS / WTS racing, and assess their future prospects of perhaps doing so again. When / Where Currently racing? The first thing of note is that of the 42 WTC / WTS events since the 2009 debut (see bottom of article for full archive listing), only 11 have not been won by a Brownlee or Javier Gomez, and that with two wins each for Bevan Docherty (NZL), Jan Frodeno (GER) and Joao Silva (POR), only eight other athletes over five racing seasons have experienced the top step of the podium. 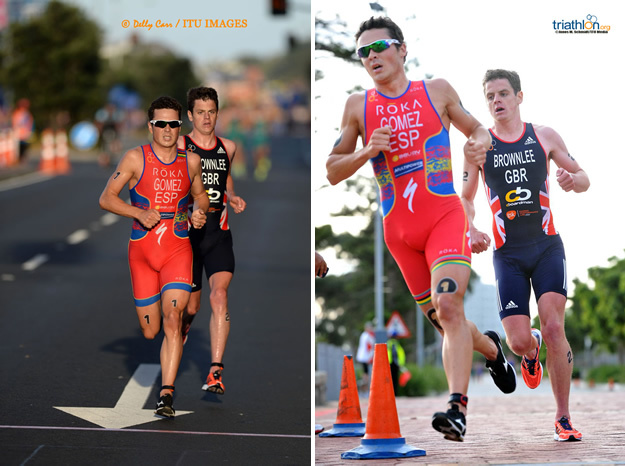 Looking at the eight athletes, three of them (Frodeno, Docherty and Kahlefeldt) are now racing full-time on the longer Ironman and Ironman 70.3 circuit. All are performing well there, but the chances of any of them both returning and winning on the WTS circuit in the future looks negligible. The same can be said for Stuart Hayes, who secured a brilliant career defining WCS victory in Kitzbühel in 2010, but these days is more focussed on utilising his swim-bike strengths within the non-drafting world. Jarrod Shoemaker (USA) secured his victory in Hamburg during the debut season of the WCS. He added an ITU Duathlon World Championship title to his CV later the same season. A consistent top ten finisher on the series during 2010 too, his form has not been quite at that level in recent years, despite some strong showings on the (now 'second tier') World Cup circuit. 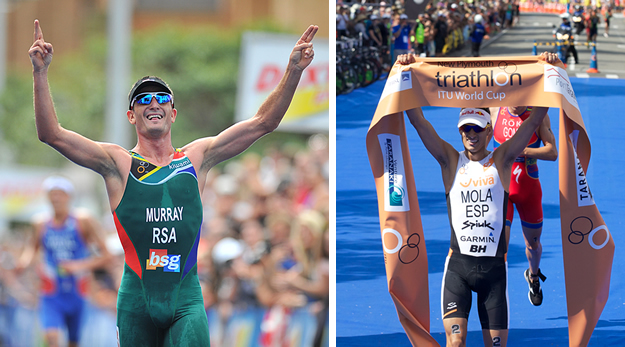 That leaves Richard Murray (RSA), Joao Silva (POR) and Steffen Justus (GER) as the only three active, World Triathlon Series previous winners who have shown recent performances to suggest that they have realistic hopes of once again taking World Triathlon Series Gold. To that trio the most obvious name to add is that of Spain's Mario Mola, who finished the 2013 season with a World Championship Bronze medal, and won two early season World Cup races in 2014 - including a victory over Gomez in New Plymouth. He appears to have the run legs - can he get his swim consistently into that fast front group? Can any of these athletes - or perhaps a wildcard - end the Brownlee-Gomez stanglehold? Is dominance hurting the sport? A consistent, dominant athlete at the top of their game, winning the majority of the biggest (Grand Slam) events in the sport. Consistently brilliant, classy, elegant and a pleasure to watch. Roger Federer (Javier Gomez). A new, younger name on the scene, not intimidated, aggressive and happy to take the game to the dominant name in the sport with relentless athleticism and a never say die attitutde. Deals with injuries, bounces back. Rafael Nadal (Alistair Brownlee). How can you break into the top three, and take on arguably the two greatest athletes in your sport's history? By taking a beating from time to time, believing in yourself, dealing with losing finals and coming through to be a consistent winner, as the big two become the big three. Novak Djokovic (Jonathan Brownlee). Perhaps there is a sign... will Richard Murray be the next 'Andy Murray' and challenge the top three consistently?! Interesting thing is, I don't remember too many people cheering if one or more of those legends misses a Grand Slam, on the basis is might make the result 'more open'. People want to see the best - and Federer, Nadal and Djokovic are among the greatest ever. As are Brownlee, Brownlee and Gomez! We are witnessing brilliance in Men's ITU Triathlon racing right now, and we must recognise and appreciate it. "When the three of us are fit, we put on a good show"
You do indeed, and I look forward to enjoying plenty more. ** While the London 2012 Olympic Games wasn't formally a 'WTS' event, it was a scoring event within the 2012 WTS series points tables in the same manner as a regular WTS race, and for that reason, I have included it within my analysis.